Our mission is to support the people who are having a go in small business by providing advanced, easy to use accounting software and professional, affordable taxation services. Join thousands of users who are using Free Accounting Software. We have recently launched a desktop version of Free Accounting Software. Users of the cloud version please click here to go to the cloud website. There are now 2 versions of Free Accounting Software. A desktop version and a cloud version. The cloud version will be upgraded soon an relaunched as BAS OFF. Easy to use accounting software for micro businesses. Simple worksheets for Sales, Purchases, Payroll. Please refer to the installation instructions, click here. This is for businesses that need to keep good accounting records for BAS lodgements and payroll with Single Touch Payroll (STP) but just want to do it in the quickest and easiest way possible. This software is built for micro businesses with 0-4 employees and lower transactions volumes. Although there is no set limits. This is the third major version of Free Accounting Software so it's called FAS 3 Desktop. Note: This software will soon be upgraded and relaunched as BAS OFF. In the meantime to continue to the old website and use the existing software click here. BAS OFF is the upgraded version of our cloud accounting software. Click here to go to www.basoff.com.au. Free Accounting Software is a Chartered Accounting Australia and New Zealand practice. As a Chartered Accounting practice we are a competent and experienced team of professionals. We are specialists in supporting micro businesses, assisting with bookkeeping and BAS lodgements, tidying up ledgers and providing practical accounting advice when you need it. The Commonwealth, the States and Territories and their agencies do not endorse or accept any liability for this product. You must satisfy yourself that this product is suitable for your requirements. SBR is the business to government electronic lodgement channel. Whilst many businesses are only now just moving to SBR, we've been lodging using SBR since 2011. Free Accounting Software is a registered tax agent. Our taxation services are designed to provide you with the support and advice that you need. Our taxation services include advice and support throughout the year not just tax return preparation at year end. Free Accounting Software is easy to use. There is no training necessary. Simply join and start using it! If you get stuck please watch the video tutorials, and have a go at fixing it. If your still stuck please email support@freeaccounting.com.au or call us on 1300 113 733 we are happy to help although please understand that we have limited time available. Most of our users do their own bookkeeping. However, when it comes to tax it's more complicated and it's often best to rely on the help of an expert. 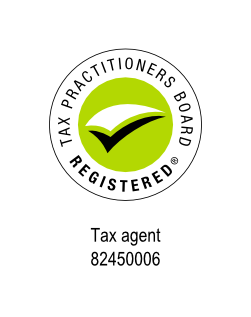 As a Chartered Accounting practice and registered tax agent we can help you out with your taxation and accounting needs. Payroll is another specialist area that is often complex and time consuming. Even if you only have a small payroll it can take a lot of time to keep up to date with all the rules and regulations and process all the paperwork including pay slips, superannuation, tax withholding and payment summaries. Our payroll service does that all for you leaving you free to get on with improving your business. Read more at our Small Business Payroll Services website.